The court accepted the request related to Klymenko case under enormous pressure of the prosecutor's office, - lawyers ⋆ News ⋆ Official website for Oleksandr Klymenko. Today at 8:45 AM, after a 14-hour court hearing, Kyiv Holosiivskyi District Court (Ukraine) accepted the request for permission to carry out special (extramural) pre-trial investigation against Oleksandr Klymenko, the former Minister and the leader of the «Uspіshna Kraina» party. Such decision was made under enormous pressure of the Military Prosecutor’s Office and personally Anatoliy Matios, the Chief Military Prosecutor’s Office, who came to the court hearing at 7:36 AM on March 1. 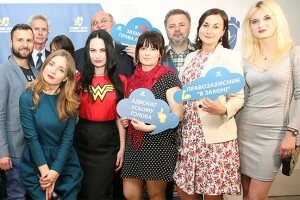 Lawyers of Oleksandr Klymenko believe that court decision was in violation of the procedure and was made under the enormous pressure of the prosecutor’s office. “In general, the whole situation related to repeated attempts to file the request to Holosiivskyi District Court indicates the one thing. In particular, it comes about a violation of the law by the Prosecutor General’s Office itself. They try to get there by any means. They do not care about the law or criminal procedure. Such course of events tends to suggest that representatives of the General Prosecutor’s Office want the case to be heard before the concrete judges. Considering the systemic filing of the requests to Holosiivskyi District Court by the Prosecutor General’s Office after hours-before the start of working day, there is a serious concern for the possibility of objective, impartial and accountable consideration of request brought before the court, ” – Tatyana Zhukovskaya, the lawyer, who represent Oleksandr Klymenko, stated. The arrival of Anatoliy Matios the Chief Military Prosecutor’s Office to the court at 7:36 AM on Mach 1 became “the final straw” for the investigative judge. After the arrival of subordinate of Yuriy Lutsenko, the judge retired to deliberation room. 15 minutes later she ruled in favour of the Prosecutor General’s Office. According to Tatyana Zhukovskaya, defence of Oleksandr Klymenko intends to seek justice in this case by all legal methods, including the European courts. During the consideration of the request of the Yuriy Lutsenko’s department, significant violations were committed. In particular, Military Prosecutor’s Office registered its request in Kyiv Holosiivskyi District Court out of hours. It was the reason for filing the claim for disqualification of investigative judge by lawyers. However, despite all the legal bases and provisions, the claim for disqualification of investigative judge was not satisfied. Moreover, it is not the only violation that was committed during the 14-hour court hearing in Kyiv Holosiivskyi District Court, February 28-March 1. For instance, due to the fact that the lawyers were not properly informed of the time of court hearing, the investigative judge even applied to a free lawyer in order to carry out assignments of the Military Prosecutor’s Office and hear the case. According to the journalists, who attended the court hearing, more than 20 free lawyers have refused to work on this case. Let us remind, earlier the Prosecutor General’s Office attempted to ask the court to grant permission to carry out special (extramural) pre-trial investigation against Oleksand Klymenko, the former Minister three times. However, all these attempts were thriveness due to numerous violations the law by the prosecution. Thus, on February 17, the Military Prosecutor’s Office withdrew its request for permission to carry out special (extramural) pre-trial investigation against Oleksand Klymenko from Kyiv Holosiivskyi District Court on its pat. They referred to the fact that the filed request does not correspond with the law. According to Tatyana Zhukovskaya, that time as well as today, the Military Prosecutor’s Office registered its request in the court out of hours. 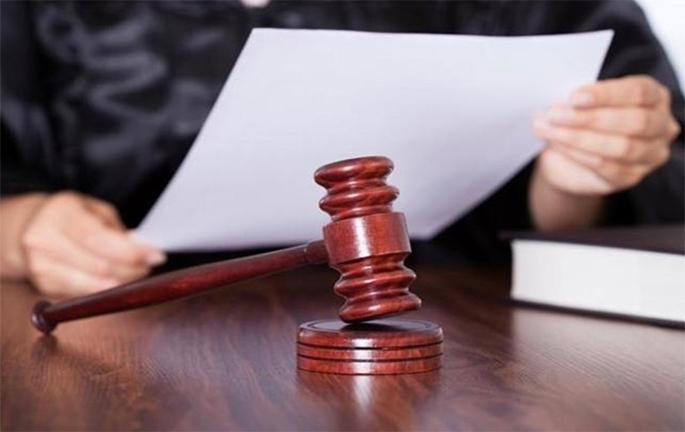 As a result, the order of automatic case distribution among the judges of Kyiv Holosiivskyi District Court was violated. This became the reason for having doubts in impartiality of the judge, which was chosen by the system. Consequently, the lawyers of Oleksandr Klymenko experienced profound concerns related to selectivity of the trial. That is why, they filed the claim for disqualification of investigative judge. After the satisfaction of the abovementioned claim of the lawyers, the Prosecutor General’s Office withdrew its request. Let us remind, the lawyers stated that Oleksandr Klymenko, the former Minister of Revenues and Duties, the leader of the «Uspіshna Kraina» party, has no status of a suspect at the moment. Accordingly, all the actions of the Prosecutor General’s Office, which are carried out in the context of investigation concerning the politician, are illegal. Oleksandr Klymenko has repeatedly stated that all the resonance statements of the Prosecutor General’s Office – are nothing more than PR and Persecution on political grounds. In June 2016, it became known that the General Court of the EU ordered to annul Council Implementing Decision of 14 April 2014 implementing Decision 2014/119/CFSP concerning restrictive measures directed against certain persons, entities and bodies in view of the situation in Ukraine, and Council Implementing Regulation (EU) No 38112014 of 14 April 2014 implementing Regulation (EU) No 208/2014 concerning restrictive measures directed against certain persons, entities and bodies in view of the situation in Ukraine in so far as they relate to Mr. Oleksandr Klymenko”.